I am always looking for deliciously simple fresh salads to prepare. So when I came across this recipe by Maria Helm Sinskey on the Williams Sonoma website, I was excited, because I had some left over goat cheese in the refrigerator. I rarely eat goat cheese, but I had brought it for my daughter, when she came from college. The Trader Joe’s Organic Herb Salad Mix is a wonderful blend of organic baby red and green romaine, oakleaf, and chard. It also contains organic Mizuna, arugula, frisée, radicchio, parsley, cilantro, dill, and baby spinach. 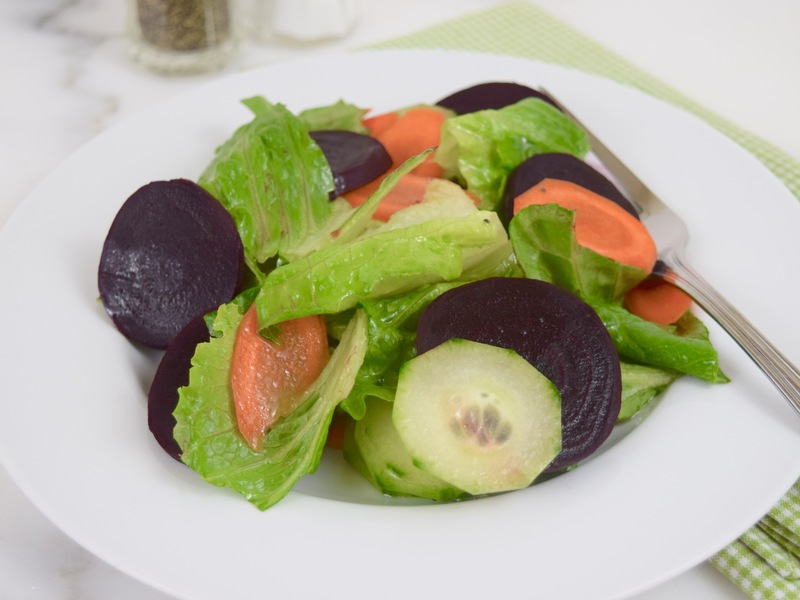 This salad is incredibly easy to make, because there is no chopping or measuring and tastes great with the addition of goat cheese. 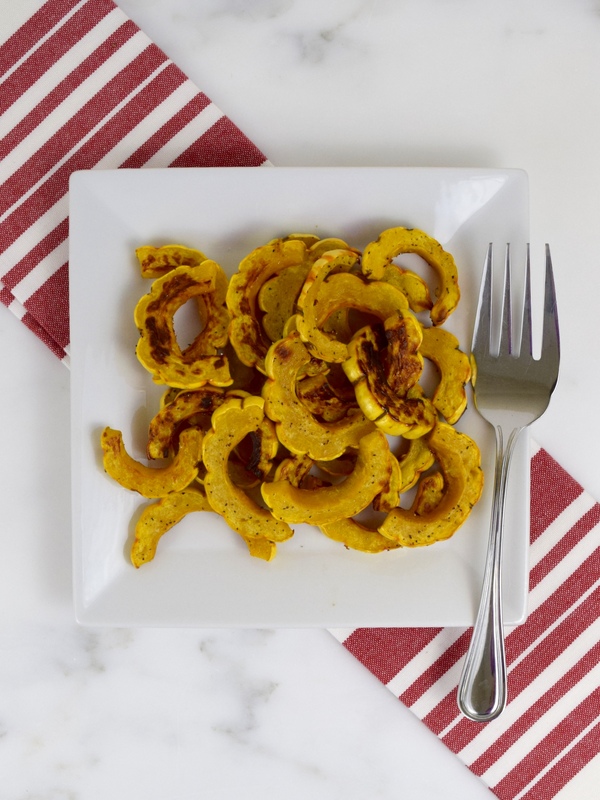 It’s the perfect healthy side dish to prepare during the busy work week! Place salad mix in a bowl. Drizzle olive oil. Gently toss, then drizzle wine vinegar and mix again. Sprinkle with goat cheese and toss. Serve immediately. 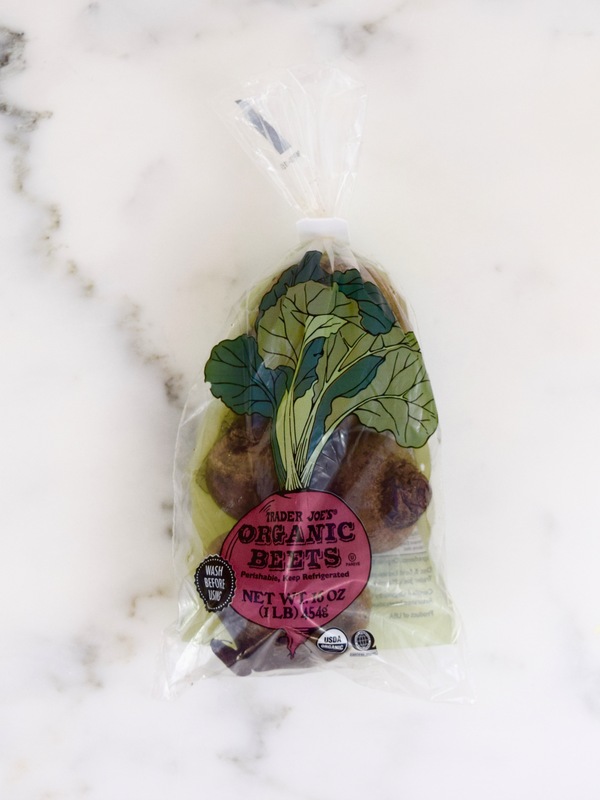 On my weekly trip to Trader Joe’s, I purchased a one pound bag of organic beets. I hate to admit this, but I have never cooked beets before. I don’t why either, because I love to eat them. 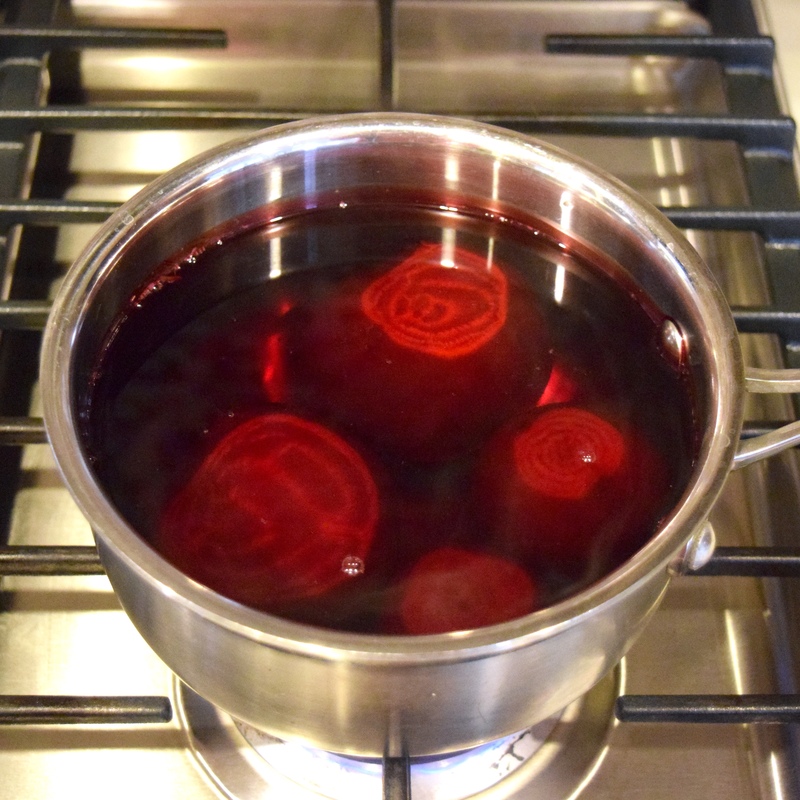 So I searched the Internet on how to cook beets. It was so simple. First, I trimmed the ends. Then I filled a saucepan with water and added 2 tablespoons of vinegar and simmered for about 50 minutes, until tender to the poking of a fork. The directions recommended the vinegar to prevent “bleeding,” but there was still a lot deep pink everywhere! I used many paper towels, so as not to stain anything! 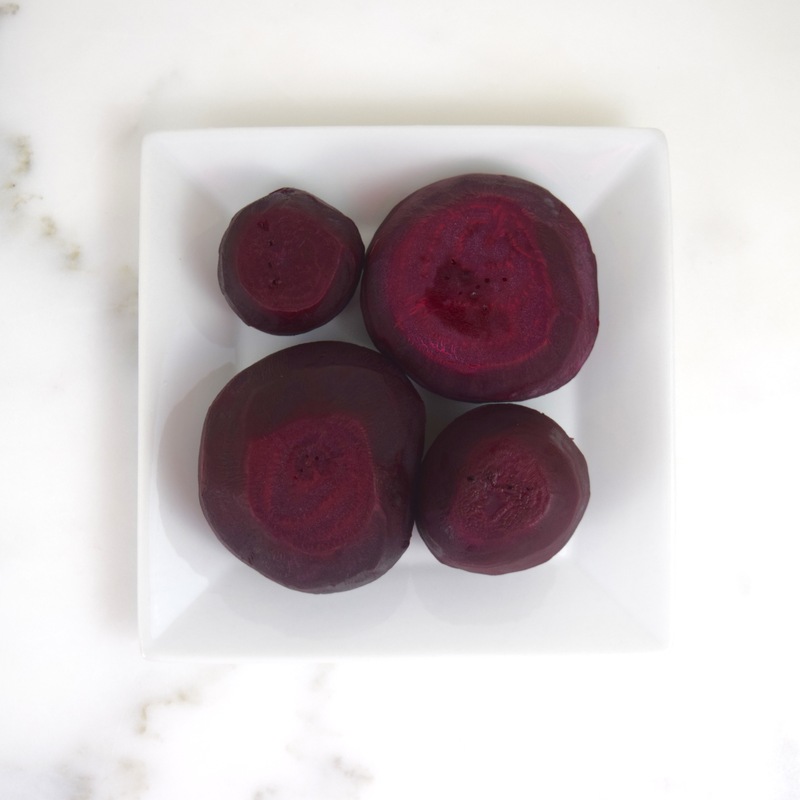 I will be preparing my own organic beets from now on, especially when I can inexpensively and easily buy them at my local Trader Joe’s! They make a terrific snack all by themselves or a wonderful ingredient in salads! For the last couple of weeks, I have been seeing this “new” squash, delicata, at my local Trader Joe’s. I did some research on it and decided to buy it this weekend. 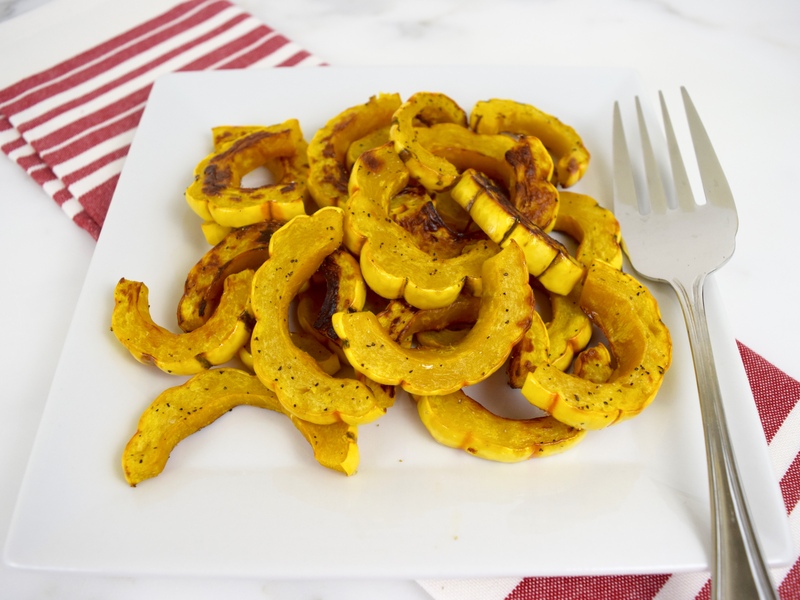 Delicata is a winter squash with yellow skin and green striations. 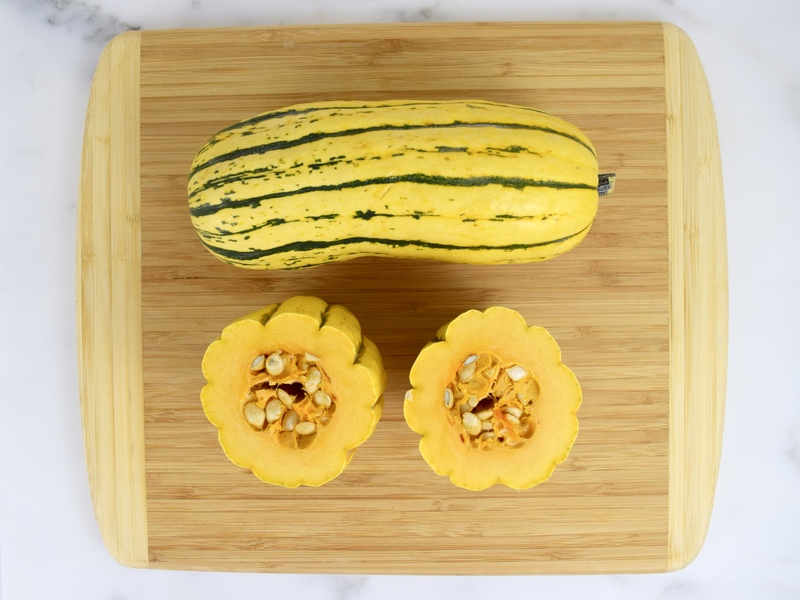 The great thing about this squash is the skin is edible, so no peeling needed! It is an excellent source of vitamin A and a good source of vitamin C and fiber. Since it was the first time my husband and I were trying this “new” vegetable, I prepared it very simply by roasting it with grapeseed oil, salt and pepper. It was delicious! The flavor and texture reminded me of a sweet potato. 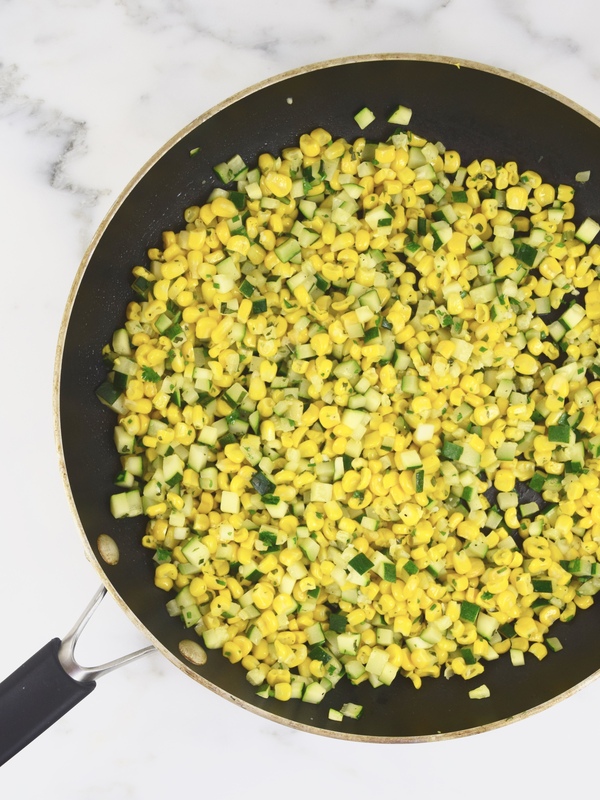 Another simple and healthy vegetable to add to our list of items we should eat! Line a rimmed baking pan with foil. Cut off both ends of the squash. Cut in half lengthwise. Spoon out the seeds, then make ½-inch slices. Brush both sides with oil. Place on baking pan in a single layer. Add salt and pepper to taste. Roast for about 30 minutes, until golden brown. Serves 2. 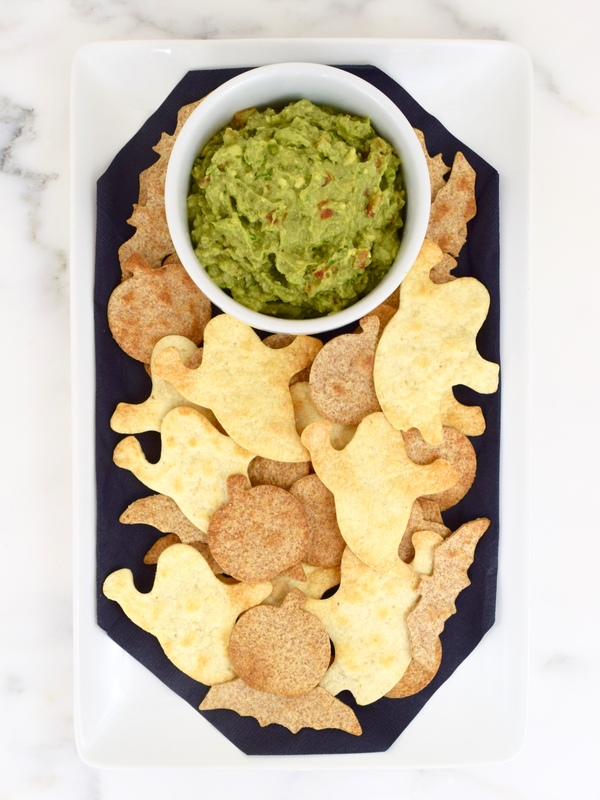 I wish that I was the one who came up with the idea to make these spooky Halloween chips using cookie cutters and flour tortillas, but it was the “Domestic Diva” Martha Stewart! Rather than using cooking spray, I brushed the scary figures with canola oil. My flour tortillas were an organic wheat and corn and an organic whole wheat and corn that I had purchased at Trader Joe’s. 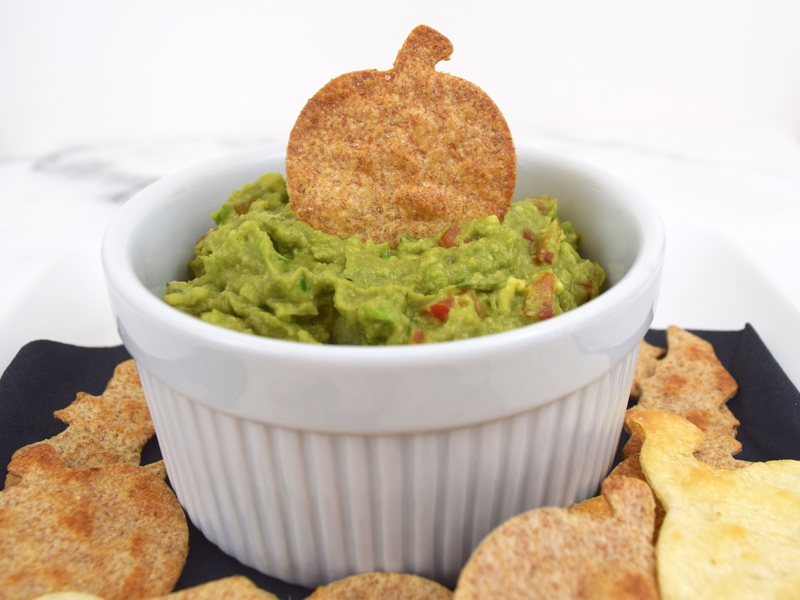 What goes perfectly with these delicious and healthier chips other than homemade guacamole! This is the ideal spooky appetizer for any upcoming Halloween party! 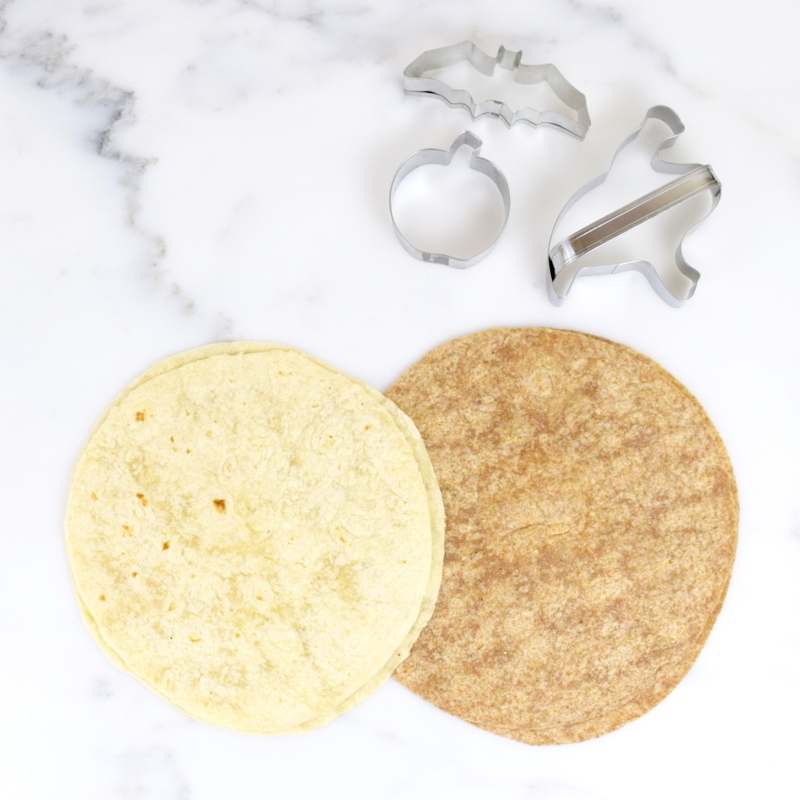 Using the cookie cutters, cut shapes out of the tortillas. Place on nonstick cookie sheets. Put some canola oil in a small bowl and brush both sides of tortilla chips with oil. Sprinkle with salt. Bake until golden brown and crisp, about 10 minutes. Place the avocados in a large bowl. Add lime juice. Mash the avocados using a potato masher. Add cayenne and cumin. Salt and pepper to taste. Stir in the onion, garlic, jalapeno, tomato, and cilantro. Serve immediately. One of my favorite food items to buy at Trader Joe’s is their frozen Organic Super Sweet Corn. It is reasonably priced and I would prefer to have organic and non-GMO foods whenever possible. I always try to keep a bag or two in my freezer all the time. 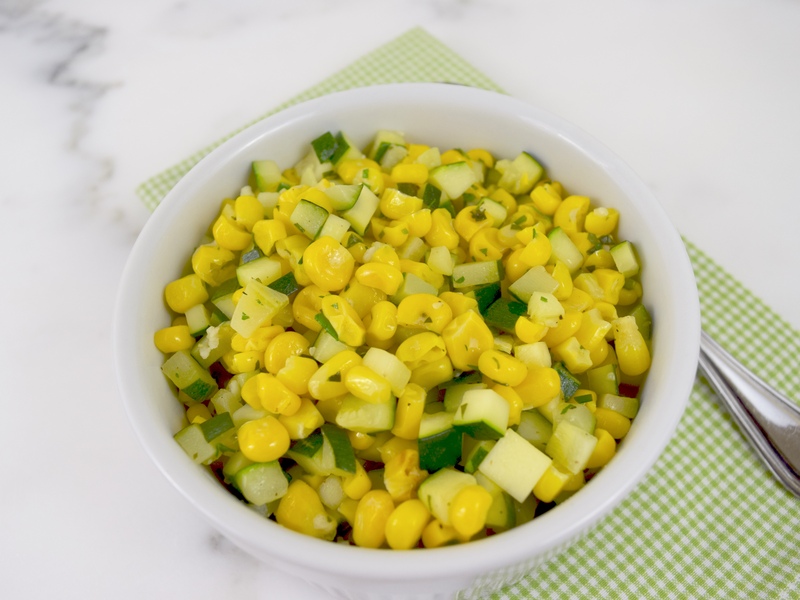 So when I saw this corn side dish recipe in America ‘s Test Kitchen, Cooking Fresh, 2015, I thought I would try it, since I already had two fresh organic zucchini in my refrigerator. 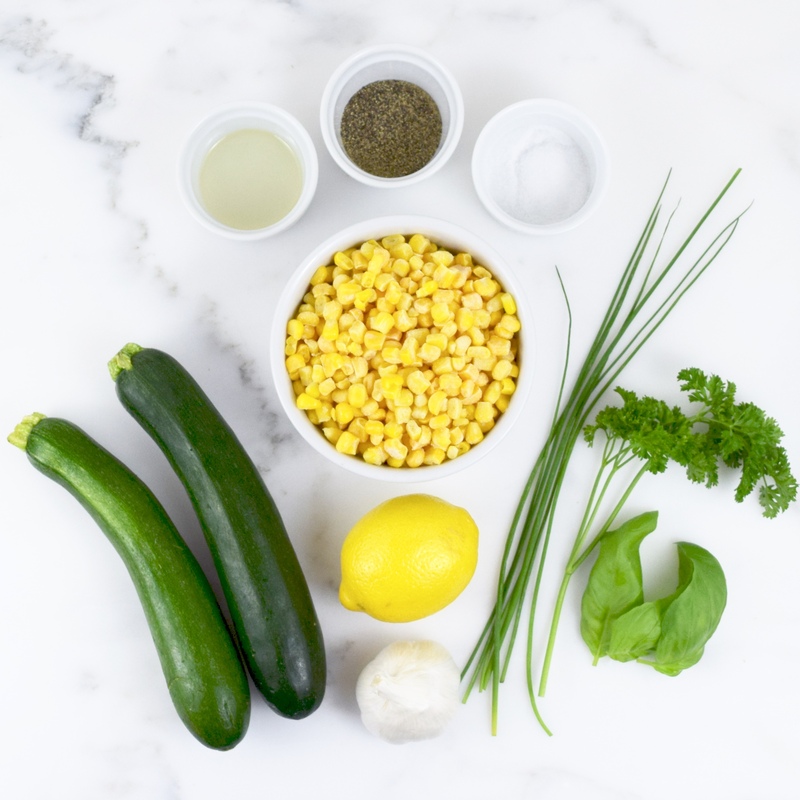 The sautéed zucchini and corn are seasoned with fresh lemon juice, parsley, chives and basil. All the preparation can be done in advance, so it can easily be made during the busy work week. It makes a tasty, simple and healthy side for chicken, beef or fish! Using a 12-inch nonstick frying pan, heat the oil over medium-high heat. Add zucchini and cook for about 3 minutes, until softened. Add the corn and cook for about 2 minute, until heated through. Add garlic and cook until fragrant, about 30 minutes. Remove from heat, add basil, parsley, chives and lemon juice. Season with salt and pepper. Serve. 6 servings. 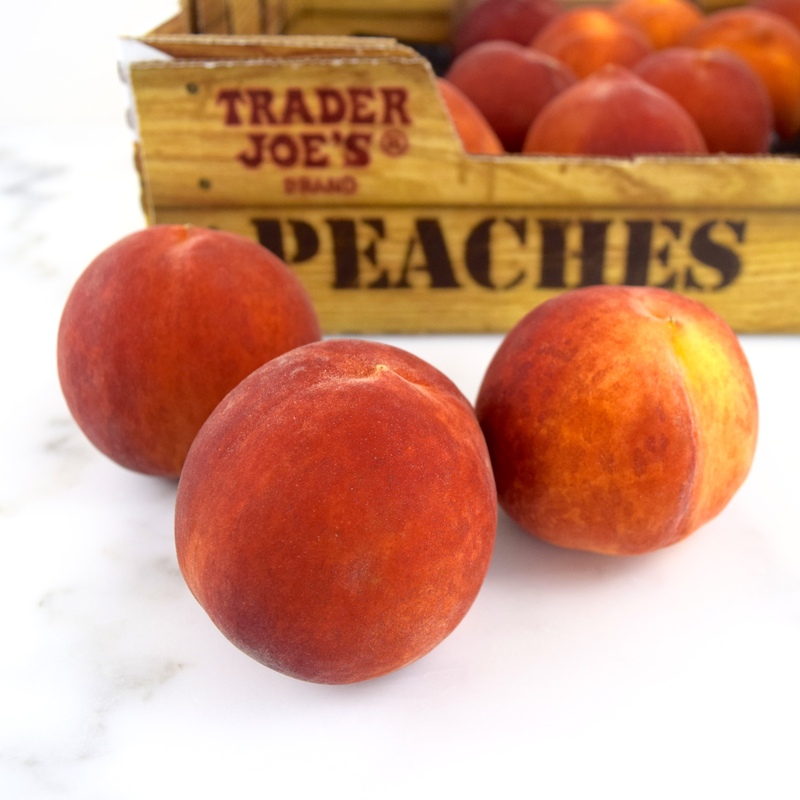 One of my favorite summer fruits are peaches, but I don’t always purchase great peaches. Sometimes they are hard, mealy, flavorless and just not sweet. Last Sunday, when I was at Trader Joe’s, unbeknownst to me at the time, I had hit the jackpot! They were still a little hard, so I waited until Tuesday to taste one. The first bite into the juicy fruit and I knew they were PERFECT! Then I thought to myself, how was I going to advantage of having such fabulous peaches? 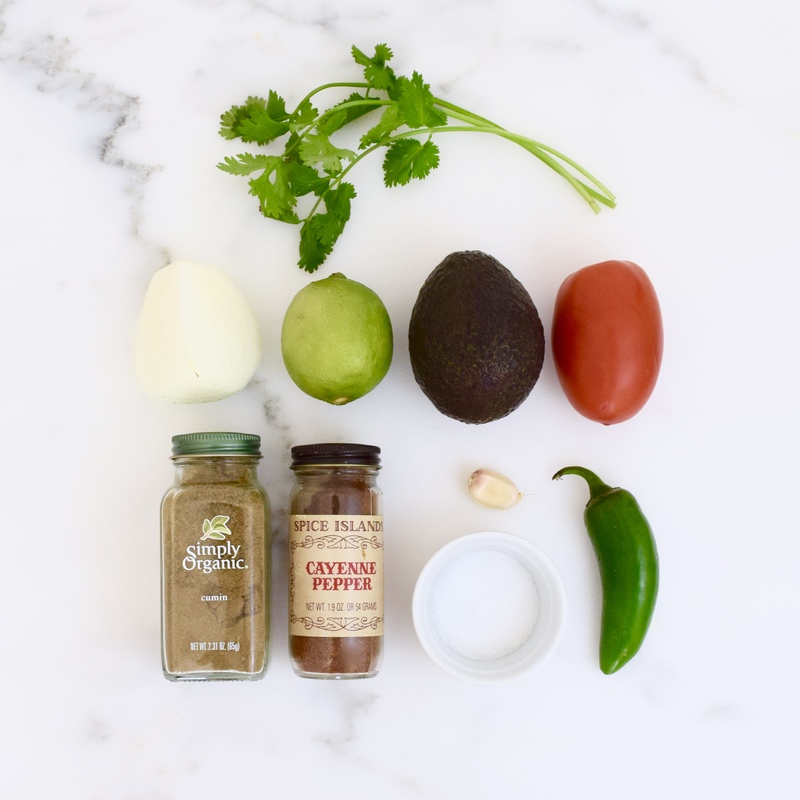 Salsa came to mind. I did some research and came up with the following recipe. 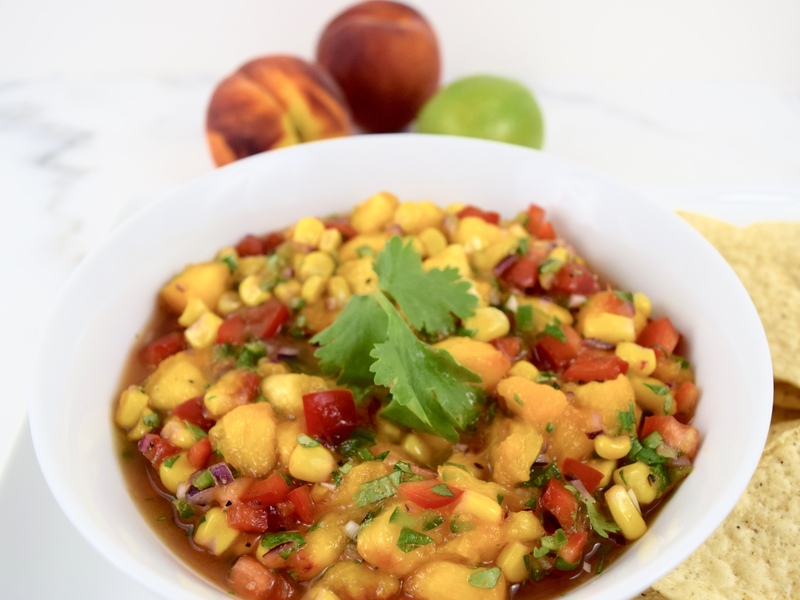 It is simply healthy and is a beautiful mixture of colors, flavors and textures! For those who love a little heat, add some red pepper flakes! To peel peaches, add them to a pot of boiling water for 30 seconds. Remove them from the pot with a slotted spoon. Then place them in a bowl of ice water. The skin should come off easily using a paring knife. 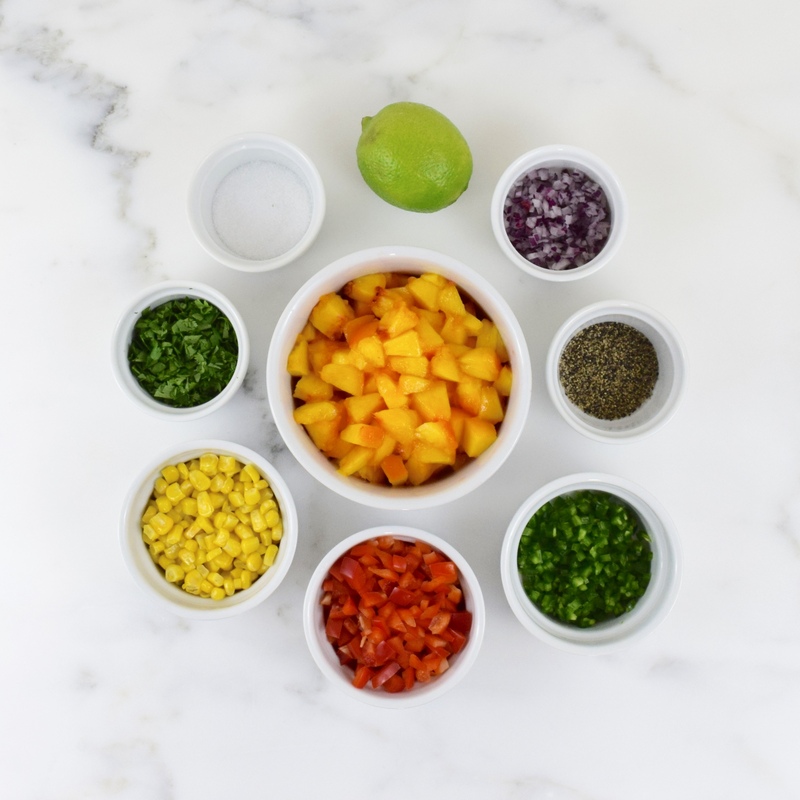 In a medium bowl, add peaches, corn, bell pepper, red onion, cilantro and jalapeño. Stir in lime juice. Add salt and pepper to taste. 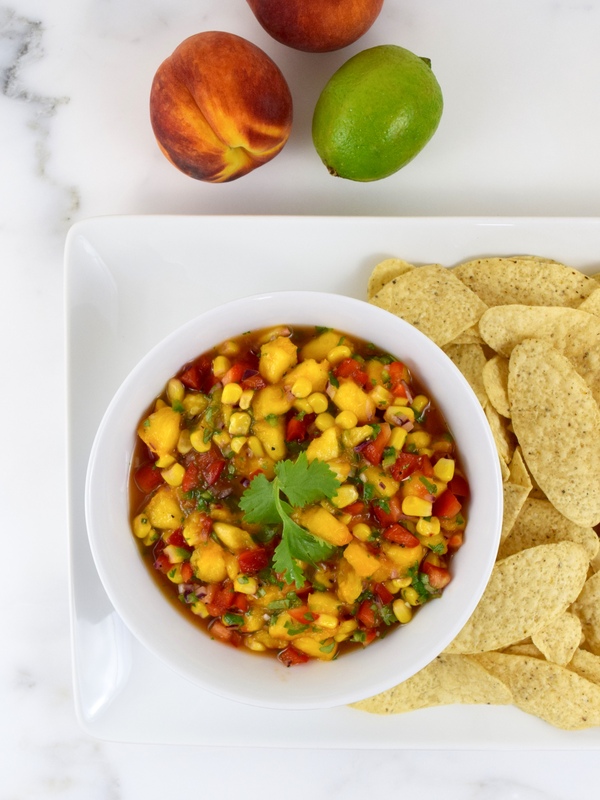 Serve with organic tortilla chips.